OMSI hosted its first adult sleepover April 13, 2018. Somewhere between witnessing a sizzling chemical reaction shoot lemon-hued foam 10 feet into the air and competing against a life-size robot in a fierce game of tic-tac-toe, this right-brained liberal arts major officially became enchanted by science. So what was this night at the museum really like? 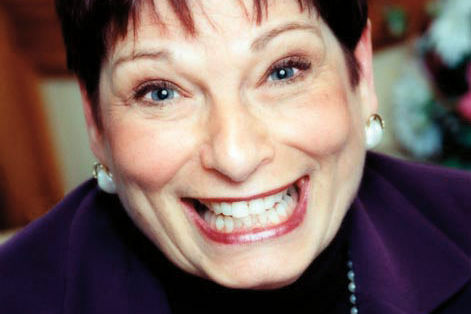 Here are this reporter’s observations. The evening began with a study in social science: the welcome reception. Though event coordinators curated a festive atmosphere with an array of tasty appetizers (including chicken satay, roasted vegetables, olives, and cheese), a bar to use our three drink vouchers, and smooth-sounding music from swing trio Boy and Bean, most guests mingled only with people they already knew. Then, thankfully, the Turbine Hall opened, providing a chance to leave this slightly awkward affair and toy with the hands-on interactive exhibits typically taken hostage by herds of youngsters during regular museum hours. The night really picked up once the behind-the-scenes tours began at 9 p.m.: Collections, the USS Blueback submarine, the Basement, and the Exhibit Shop. Not to be confused with the museum store, this shop is the space where exhibits are designed. OMSI creative director Dave Laubenthal led us to the nondescript concrete building next to OMSI’s parking lot on SE Water Avenue. It’s an inventor’s dream playground, complete with a woodshop, a machine shop, a prototyping area, and a mini soundstage. It’s also home to a random assortment of funky relics—like a still functioning “Drunk Pac-Man” arcade game used to illustrate the incapacitating effects of intoxication by slowing Pac-Man’s reaction time to the players’ movements the longer the gamer plays. My inner child was also very pleased with the various Plexiglas cutouts of famous cartoon characters like Fred Flintstone and Scooby Doo, pieces left over from exhibits past. It’s pretty hard to glitz up a tour of a basement filled with banal electric, heating, and cooling equipment, but our spirited guide definitely gave it his best shot, sharing interesting tidbits like how one maintenance employee single-handedly saved the museum from the Willamette River flood of 1996 by drilling holes in the basement’s walls to relieve pressure from the building’s structure. We also got to see the basement’s impressive heavy-duty flood equipment that can pump up to 40,000 gallons of water per minute at full flow. (Next time, though, I might opt for the Collections tour: its attendees came back talking about geodes, a life-size stuffed tiger, and creepy dolls. How may Omron assist you today? Since the Basement tour was brief, there was some time to wander over to the exhibit Robot Revolution, showcasing highly intelligent robots like a miniature lean and mean fighting machine capable of performing karate moves and several autonomous soccer-playing bots. 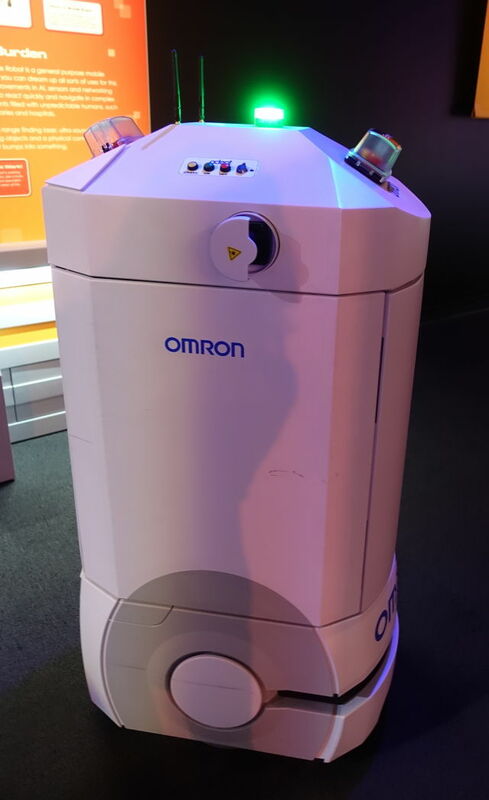 My boyfriend and I were guided around this futuristic display by a friendly robotic docent named Omron, who, like all great museum guides, had a spiel filled with much corny comedic flare. 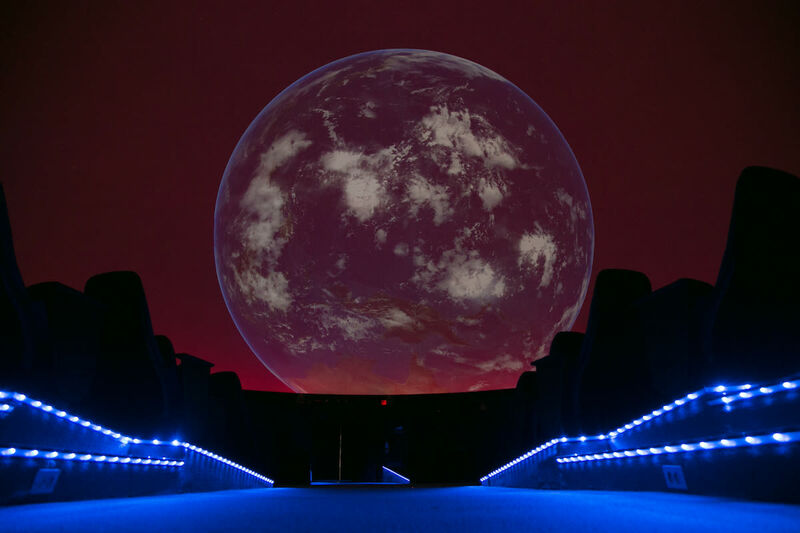 As if Omron weren’t trippy enough, the next activity was the premiere of the planetarium’s psychedelic new laser show adapted from Stranger Things: a slightly odd yet captivating 45-minute show that was a mix between shooting through the galaxies on Disneyland’s Space Mountain ride and a night of binge-watching ’80s one-hit-wonder music videos. Knowing my own contributions would be minimal unless the questions tested our knowledge of Salt & Straw’s new April flavors, I decided to round up a killer trivia team: two young museum volunteers who could nail the OMSI-related questions, a woman who works in public relations and happened to have incredible knowledge of animal classification, and a man who must have been training for the “eat six saltines without drinking water” challenge. 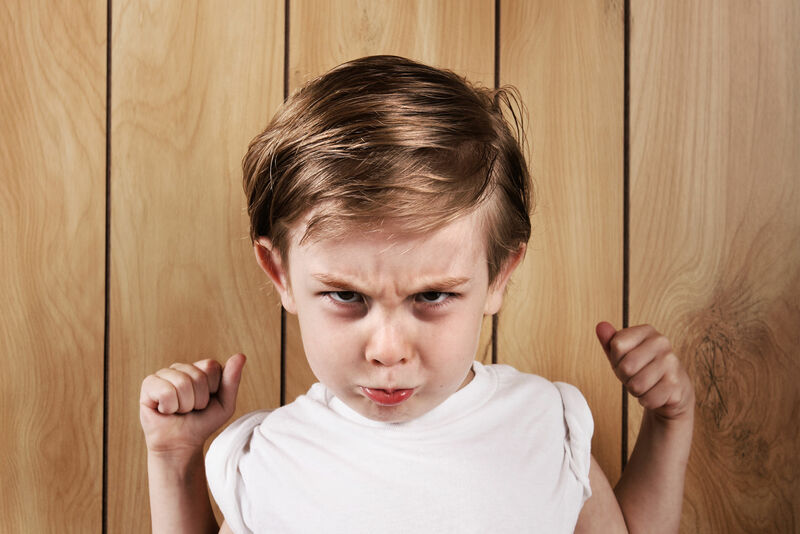 My team successfully secured the trivia title while I calmly enjoyed my midnight snack of spinach dip and brownies. One pair nabbed the permafrost tunnel and brought their own air mattress. Winning. After an evening as jam-packed with activities as a freshman orientation, everyone was exhausted and settled in for the night in the Life Hall. 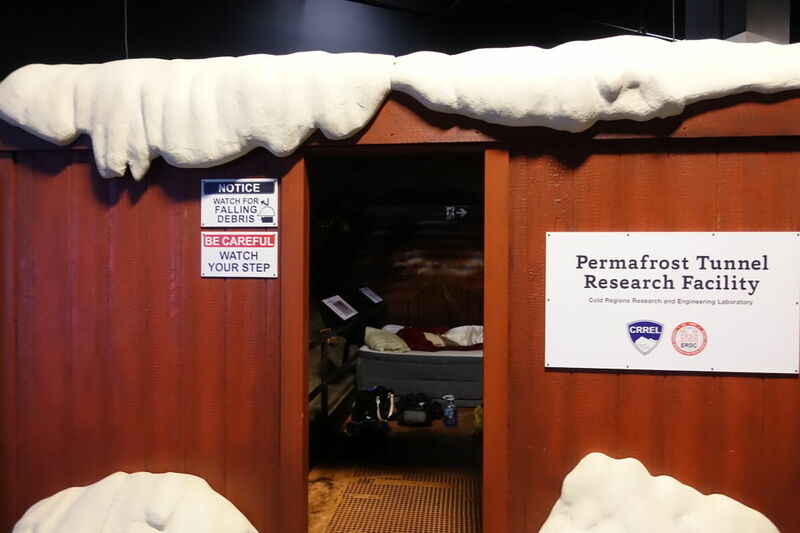 No one was bold enough to sleep in the round room of actual human fetuses, but one couple did set up a cozy camp with a full-size inflatable mattress in the Arctic Tunnel Permafrost Research Facility. Like a good tree-hugger, I fell into a deep slumber next to the recycling exhibit. Over quiche and coffee the next morning, fellow slumber party goers offered rave reviews of the event and felt their experience was worth the price of admission ($150, or $130 for museum members). One common wish? More of the “wow” science demos, like those with chemical reactions that created steaming airborne foam and exploding balloons. 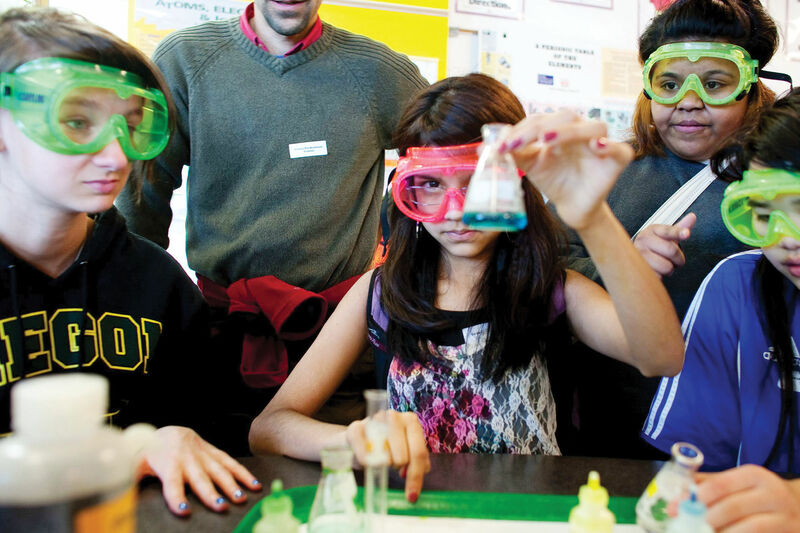 Wondering when you can go to this science slumber party? 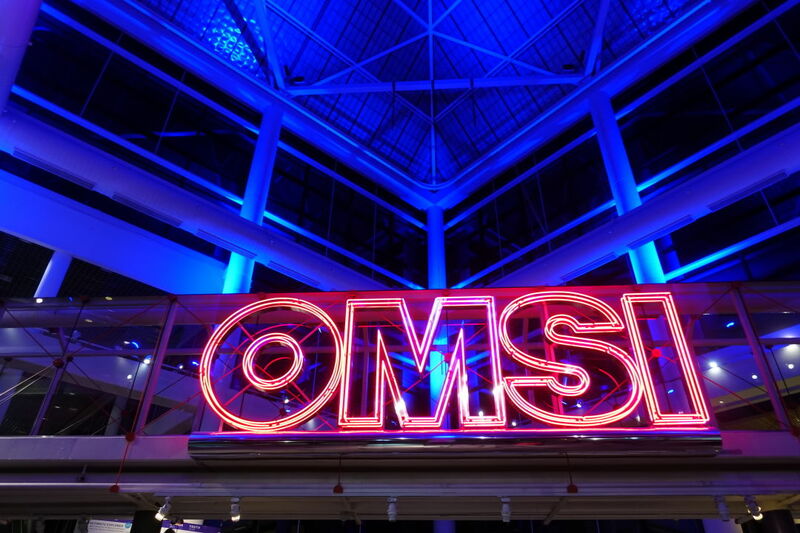 Start planning for next year: Sonali Shivdasani, one of the OMSI All Night event planners, confirmed the museum plans to host it again next spring. There should be more spots to go around, as the museum will most likely increase the event’s capacity to 150 people.